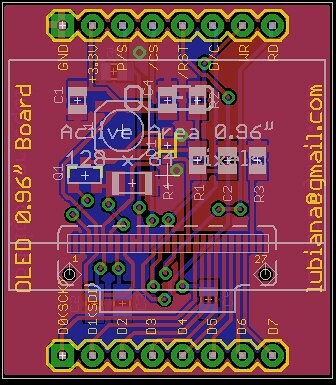 For who need SH1101A OLED driver, I’m posting here my code (written in Microchip C18, but easly to port to other platform) to help more people on get use this great OLED display. It’s not finished, yet, but it’s very useful. The code has geometric draw functions to draw single pixel, lines, rectangles and circles with fill option. There’s characters output functions too, with 8×6 pixel font. The icons for Battery (animated), Bluetooth, WiFi, Sound (animated), etc are on the code too. 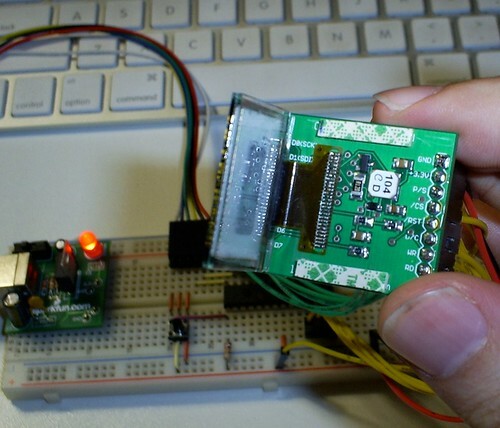 In the code you’ll find a DS18B20 Dallas OneWire Digital Temperature sensor driver too. That’s a limited version (only work for one sensor in OneWire bus) but works great. You get a float reading plus a string with temperature value (in Celsius Degrees). More improvements coming soon. If you have any trouble with that code, email-me or let me a comment. 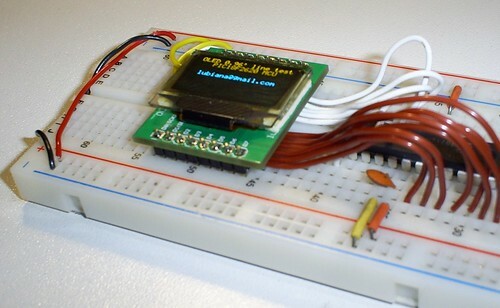 Some people ask me about how to do hand soldering on smaller parts, like on my OLED Display Board. It uses a “TAB” (tape automated bonding) or “COF” (chip on flex) style flex tail mated with a “COG” (chip on glass) display. Normally, TAB connector is soldered directly to corresponding pads on your PCB using a hot-bar soldering machine. For help us, I’ve recorded my last OLED soldering. Maybe can help some people about SMD soldering (as some internet videos help me some years ago). Some mounts ago I’ve bought a PIC24F Starter Kit. 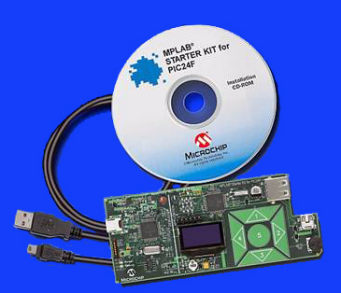 It’s a very nice development kit from Microchip for who wants know about USB OTG, Capacitive Touch Sensor and more. But I really like is the OLED display it comes. 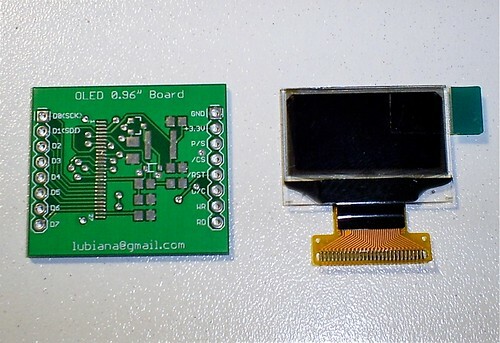 The OLED is very small but with a good resolution (128×64 pixel). It’s monochrome black and white and, believe or not, very bright but without backlight! 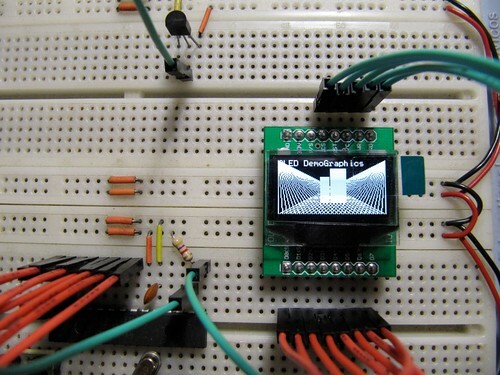 Well, I’m very impressed and obviously imagine what I can do if I have a small OLED like that. 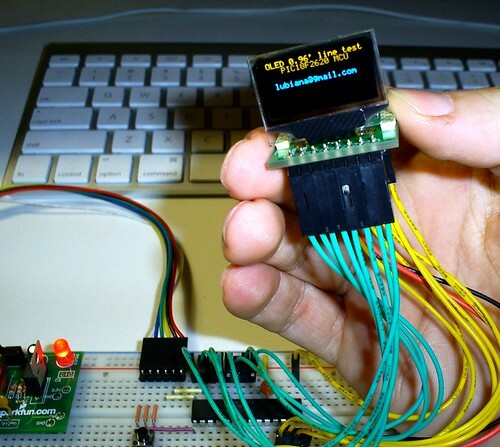 Most of OLED displays have SPI interface. 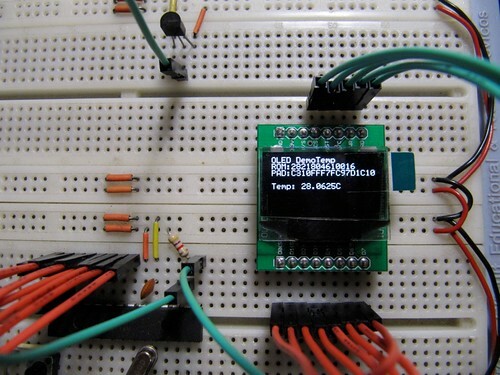 But most of them don’t let you read the display RAM data with SPI interface, because it’s a SPI 3-Wire interface. When you cannot read display RAM, should be impossible make functions that read display RAM and alter only one pixel (for example). So, some simple functions (like line creation) became very complex if you like to use it without modify some graphics already displayed. Example: if you have a picture and draw a line, you will change some blocks of RAM, don’t only the line pixels. I’m working on that problem. If you like this board, email-me at lubiana@gmail.com. I’ve five empty boards and five OLED yet.